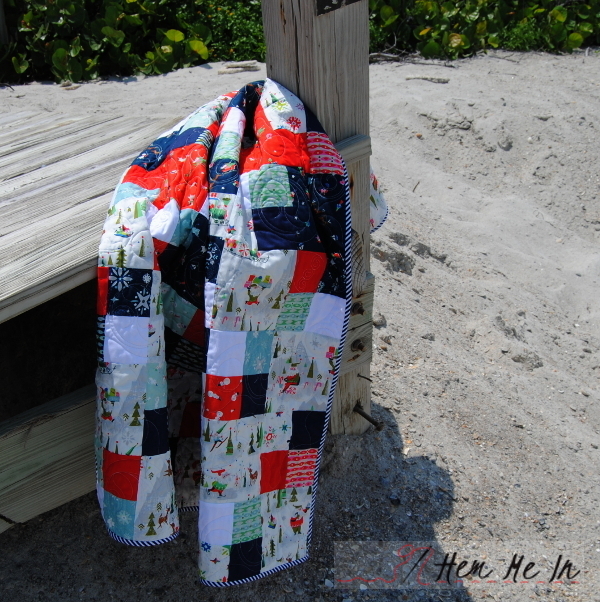 It’s a little bit weird working on Christmas projects in July in Florida! Today’s high is forecast to be 93 degrees Fahrenheit. 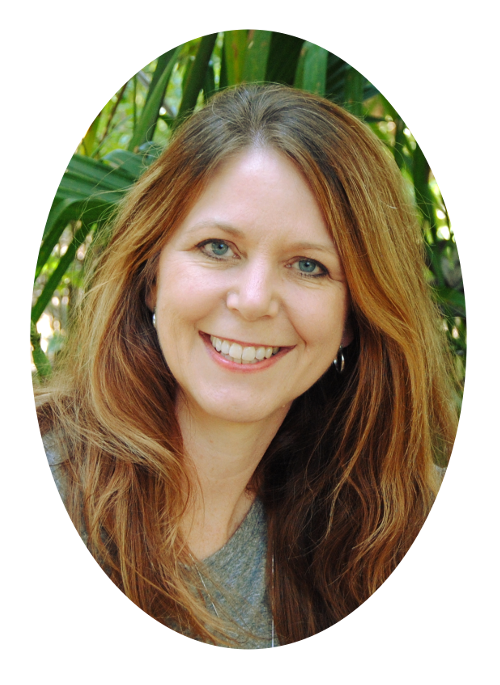 It’s hot, beachy weather! 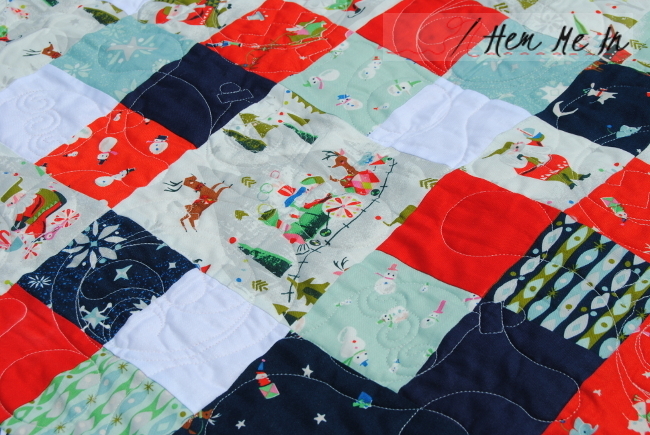 Thanks to Jill Howarth’s new fabric line for Riley Blake Designs, Way Up North, though, I’ve been dreaming of cooler holiday days and Christmas! Isn’t it dreamy? 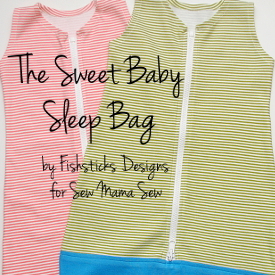 This quilt is a super quick and easy sew. 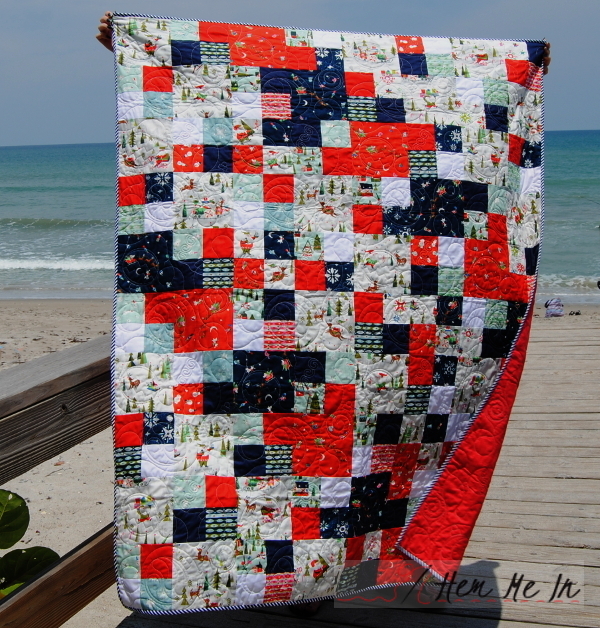 I just mixed straight cuts and fussy cuts in 6″ and 3″ squares into twenty 12″ blocks. I was pretty haphazard in the arrangement to give it a scrappy look. 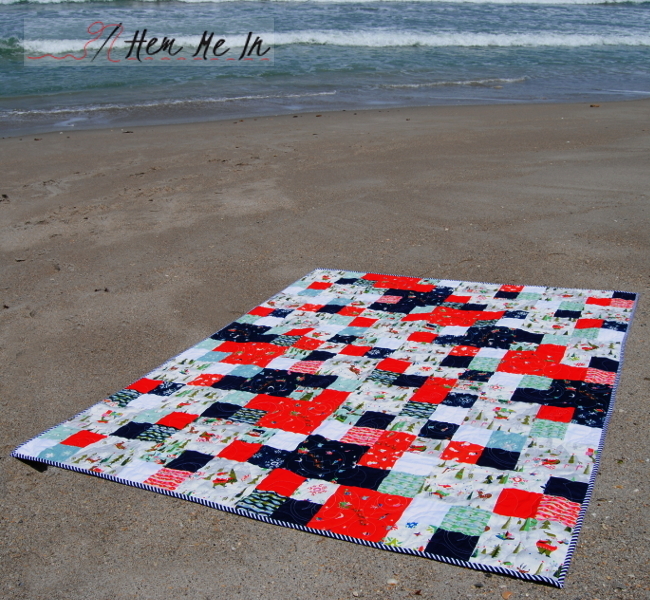 I pieced the blocks in 5 rows of 4 for a finished quilt size of 48″X60″. 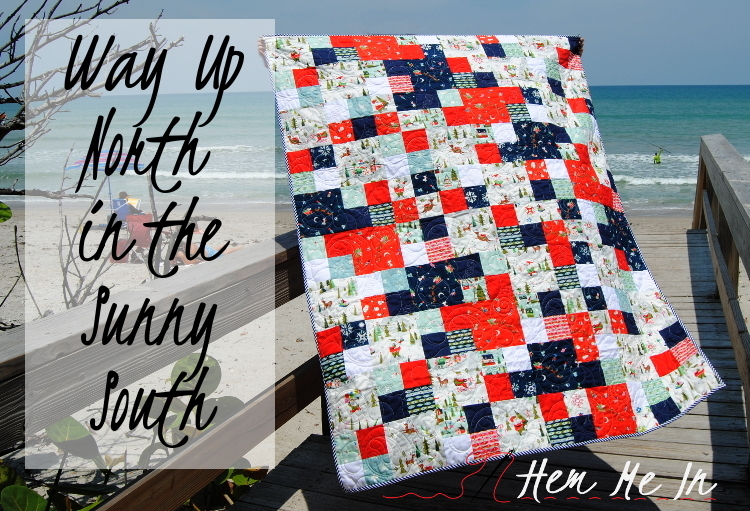 And, because it’s July in Florida, I thought this sweet quilt needed a trip to the beach! 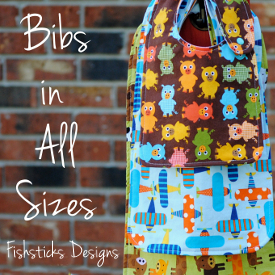 The larger scale prints in this collection are perfect for fussy cutting! They’re adorable, too. 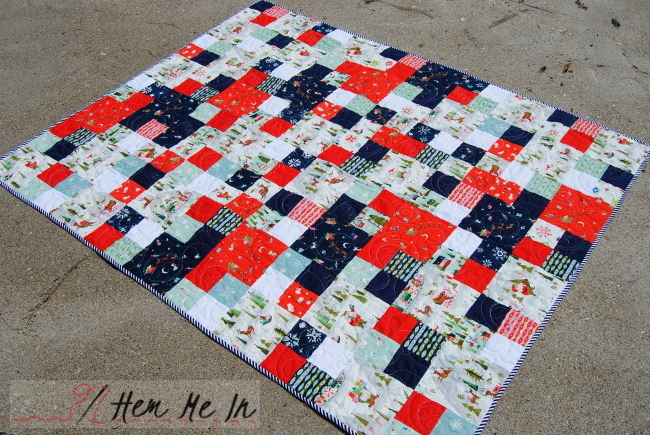 I mixed in a few of Riley Blake’s Confetti Solids, too – Tomato, Navy Blue and White. David of Quilting by David did a beautiful job with the quilting. 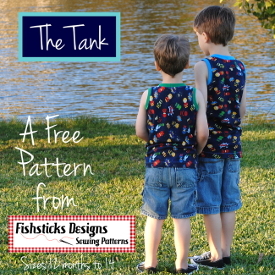 The pattern is called “Christmas Ornaments”. For the binding, I cut 1/8″ navy blue stripes on the bias. It’s sort of candy cane stripes in an unexpected color! 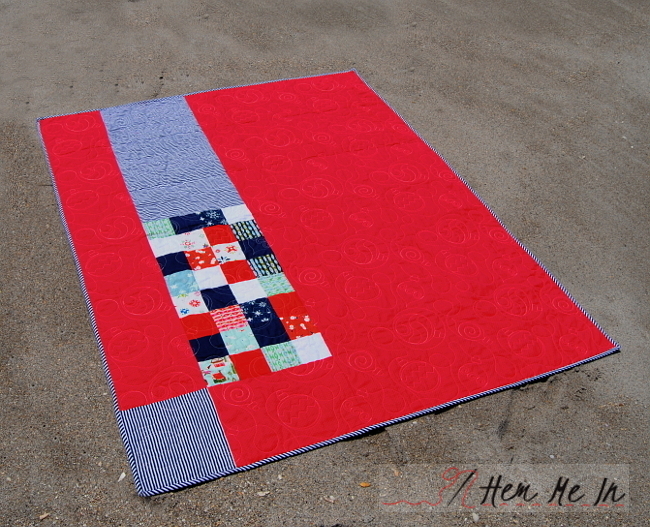 On the back, I used up all the leftover squares and mixed some more stripes with Tone on Tone Red Riley Blake Kisses. 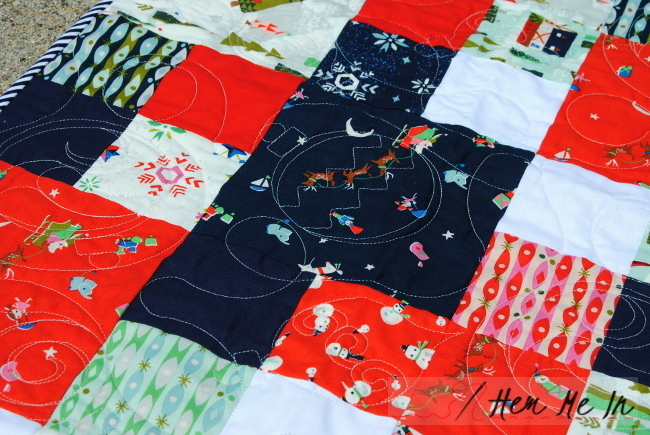 I’m really sad that I have to pack this quilt up for five months! It’ll be so nice to have it ready when December rolls around, though. 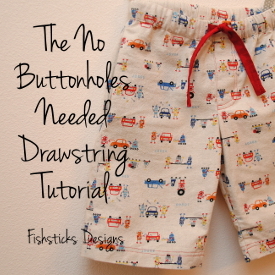 I always feel like I wait to the last minute to get holiday sewing done, and then I run out of time. 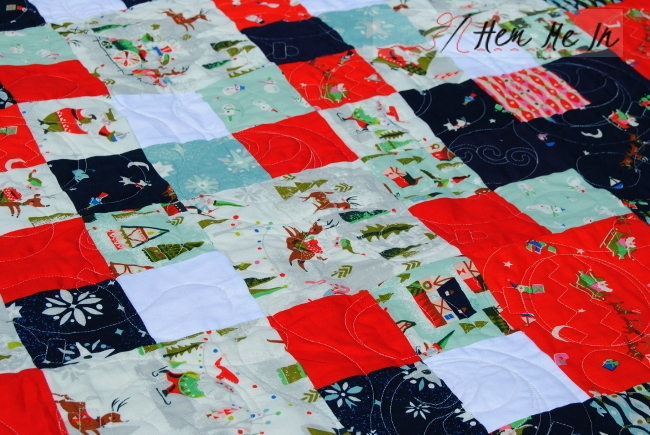 I think maybe I’ll sew up a few more Christmas things this month!